When you think of Maine, you might think of thousands of miles of coastline and world-famous lobster harvests. But crustaceans aren't the only thing active during the summer – that's peak season for ambitious young Down Easters to start working for the first time. Admirable as that ambition may be, labor laws ensure that a 13-year-old in Maine can't get a job hanging off of a crane. For the most part, these laws are administered by the Maine Department of Labor, and all employers in the state are absolutely obligated to follow them (sorry, pre-teen construction enthusiasts). Administered on a nationwide level, the historic Federal Fair Labor Standards Act of course applies to employers and workers in Maine, but if you've got more detailed questions about young people working, by-the-book, state-specific, child labor laws in Maine provide plenty of answers. Maine state labor laws work in tandem with those laid out by the federal Fair Labor Standards Act, often expanding upon them with state-specific rules. While the federal Fair Labor Standards Act didn't hit until 1938, Maine's first child labor law dates all the way back to 1847. In an effort to combat the rise of sweatshops, these laws – like their modern iterations – sought to ensure that working children did not neglect their education. Maine maintained a progressive stance on child labor through the early 20th century, outlawing children under the age of 14 from working when public schools were in session in 1915, and further strengthening educational requirements for young employees throughout the 1940s and 1950s. In 1991, labor laws in Maine saw significant changes, imposing attendance requirements on minor employees in response to rising rates of truancy and school dropouts. At various points between 2001 and 2017, the state continued to add to the list of hazardous jobs from which minors are restricted. What Are the Age Requirements in Maine? In the Pine Tree State, anyone under the age of 18 is considered a minor, but laws regarding youth in the workplace get a little more sticky than that. Maine kids aged 14 and 15 are legally allowed to work at most businesses, except for those that may put their health, well-being or educational opportunities at risk. At the age of 16 or 17, the restrictions loosen a bit – these young Mainers are exempted from working only what the Bureau of Labor Standards defines as "hazardous jobs." Per the state's Hazardous Occupation Rules, this includes but is not limited to jobs related to explosives, mining, driving on public roadways, power-driven machines and apparatuses, slaughtering and meatpacking, manufacturing of kindred products (like brick and tile), roofing, welding, wrecking and excavating. 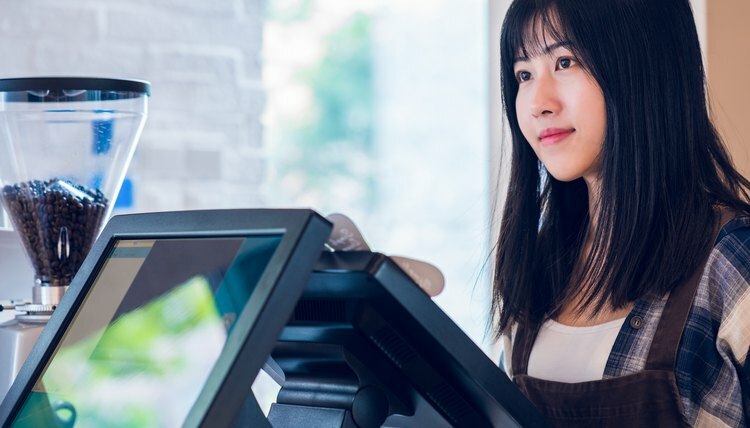 Minors are also not allowed to work alone at cash-based businesses (i.e., any business that earns most of its daily receipts in cash), though they can work under the supervision of an adult or alongside another minor. In Maine, minors under the age of 14 may work in some non-hazardous agricultural occupations. Once a child turns 18, Maine's youth employment laws no longer apply to them, even if they're still enrolled in school. What Hours Can a Minor Work? If you're a particularly ambitious youngster in Maine, you may be asking yourself, "How many hours can I legally work in a day?" The answer depends on how old you are. Maine staters aged 14 and 15 cannot work more than six days in a row, and they can't start their work days before 7 a.m. – which is not something that should be a problem for most teens. During the school year, they must clock out by 7 p.m., though that changes to 9 p.m. during summer vacation. When school is in regular session, these youthful employees can only work three hours per school day (yes, even on Friday) and no more than 18 total hours per week, even if school is in session only for a single day that week. When school is not in session, the work hours of 14 and 15 year-olds are limited to eight hours in any one day and not more than 40 hours in a week (and school must be out of session for the entire week). And how many hours can a 17-year-old work a week? As you might expect, the labor laws relax a bit for 16 and 17-year-olds in Maine. Like their younger counterparts, older teens can't work more than six days in a row. They also can't start work before 7 a.m. on a school day, but are allowed to start as early as 5 a.m. on non-school days. On a school night, 16 and 17-year-olds can work as late as 10:15 p.m.; when there's no school in the morning, they can work as late as midnight. During the regular school session, they're able to work six hours per day or 10 hours on weekends, holidays and vacation days, for a total of up to 24 hours per week, or up to 50 hours during the first and last week of the school calendar or during weeks with less than three school days. When school's out, these teens can work up to 10 hours per day and up to 50 hours in a single week. When students in Maine are enrolled in approved alternate education plans or cooperative or vocational programs, the hours they put into those programs do not count toward the regular maximum work hours. In some cases, budding workers are exempt from all state hourly restrictions. Any minor employed in planting, cultivating or harvesting crops – or otherwise employed in agriculture, so long as they're not dealing with dangerous equipment or substances – is totally exempt, which should come as no surprise in a state with about 8,200 farms, according to 2017 United States Department of Agriculture data. Similarly, those employed in fishing and boating occupations are exempt from both hourly and weekly restrictions when school is not in session – good news for those endeavoring to work in the lobstering industry. Other exemptions are just a little more unexpected. Minors working as actors or actors in-training are exempt from hourly labor laws (in fact, there are no age limits on child actors, though anyone under 16 still needs a work permit), as are those who work at children's camps. More predictably, any minor who is legally emancipated is also exempt. Some legal exceptions apply to Maine laws regarding hazardous work, too. Youth may work at jobs with power-driven apparatuses, at meat packing, and processing plants and slaughterhouses, and in roofing, excavating or welding if they're working in the capacity of an apprentice or student learner. However, the hazardous work must be incidental to the training and be intermittent and closely supervised, and the young worker must be employed in a craft recognized as apprenticeable by the Maine Department of Labor or the United States Department of Labor. A written agreement detailing the potential hazards and safety instructions must be signed, too. On a similar note, minors are allowed to work as junior firefighters and as paid or volunteer staff in Junior Emergency Medical Service or career-oriented law enforcement programs in the state of Maine, though numerous regulations against hazardous duties apply. What About Work Permits and Record Keeping? Without exception, all minors under the age of 16 in Maine are required to have work permits in order to work lawfully; even home-schooled children aren't exempt from this permitting requirement. To nab a work permit, the minor Mainer's (say that three times fast) local superintendent of schools must certify her academic standing. The required State of Maine Work Permit application form includes the minor's contact info and verifies that the minor is not "habitually truant" at school, is passing a majority of her courses and is not enrolled in a summer school program. The form also asks for employer information, including contact, industry, the minor's potential job duties and starting wages. It must be signed by the school's superintendent or issuing officer, and the parent or legal guardian of the minor and the minor herself must submit proof of age to the office of the superintendent before the form is submitted to the Bureau of Labor Standards. The minor is allowed to work only once the permit is approved by the BLS and is allowed only one permit during the school year and up to two during the summer vacation period (which may make summer vacation substantially less fun). Each job requires its own permit; permits cannot be transferred among jobs. The Department of Labor requests notification once the minor leaves each permitted job, so that it may deactivate the associated permit. Businesses that employe minors in Maine are legally required to keep that BLS-approved permit on file, but that's not the full extent of their legal record-keeping requirements. Maine law demands that employers keep accurate payroll records for all workers under 18, including the worker's daily time in and time out, as well as the total number of hours worked. According to Maine's compulsory education laws, all students attend school until the age of 17. Under that age, dropping out of school requires special permission from a local school board. Even kids who drop out of school in Maine are required to have work permits if they want to work legally, but hourly work restrictions do not apply to those no longer enrolled in school (except for those under the Fair Labor Standards Act and applicable Maine law, of course). Young Mainer employees enjoy the same rights as their elders. Like all employees, the law requires all Maine employers to provide youth employees with necessary hazard and safety training and to maintain a safe, healthy, work environment – OSHA regulations in the state apply to all employees, regardless of age. Any young interns in the "for profit" sector of Maine industry are required by law to earn the state minimum wage, which is $10 per hour as of 2018 (except in Portland, which has its own minimum wage laws that may differ from the state's). If you're really into obscure poster laws, you'll be happy to know that Title 26 of the Maine Revised Statutes, Section 42-B, requires that every employer places a state-produced Child Labor Laws poster in the workplace where employees can easily read it. Violators who break youth labor laws enforced by the Maine Department of Labor are subject to fines of up to $50,000 per incident. In cases where Maine law differs from federal law, the most restrictive law that provides the most protection for the employee is the applicable law, according to the Maine DOL. Signed into law as an emergency measure by Governor Paul LePage in 2017, LD 1564 allows Maine minors aged 14 and 15 to work in bowling alleys, movie theaters and permanent amusement parks, all of which were previously prohibited. The law also loosens restrictions on housekeeping and kitchen duties in a combined effort to grow the teen workforce in the face of a statewide labor crunch. Ketchum, Dan. "About the Child Labor Laws in Maine." , https://legalbeagle.com/13714856-about-the-child-labor-laws-in-maine.html. 17 September 2018.